What a fun, fun read. There is a murder mystery, set in Venice of the 1700’s. The murdered man holds a piece of paper in his hand, a poem of sorts that is definitely a code. Two unusual detectives. Ludovico – a young man who has had his testicles cut off for the sake of opera. And Monsieur Arouet – a fraudster, or just possibly the philosopher Voltaire. The setting. Carnival time in mid-18th century Venice, a city of winter mists, and the season of masquerade and decadence, in a Venetian underworld of pimps, harlots, gamblers, forgers and charlatans. A mysterious coterie of aristocrats, Jesuits, Freemasons and magicians. The murder: that of the nobleman, Sgr Alessandro Molin, found swinging from a bridge with his innards hanging out and a message in code from his killer. Scherzo was nominated for the Booker Prize. 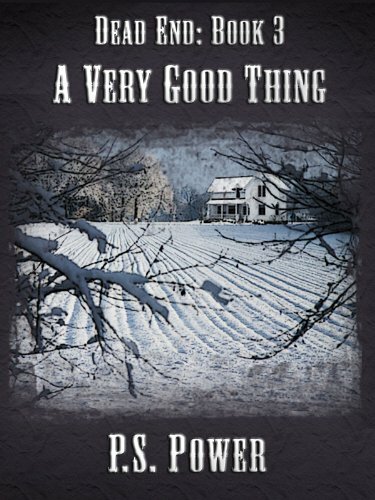 What a romp, and a colorful cast of characters that inhabit the story. Scherzo means joke in Italian, and the book is filled with secrecy, from the general atmosphere of Carnival where everyone goes around in masks, to various disguises, to so many things not being what they seem — or are they? Great read from an author who likes fakes, forgeries, frauds and mysteries, as can be evidenced by his other works. (A John Tall Wolf Novel). 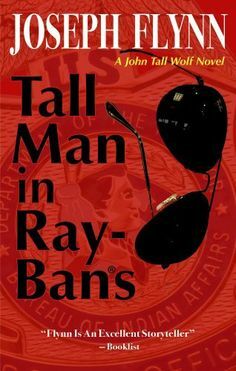 Excellent book of the police procedural genre, set in Texas, starring BIA Special Agent John Tall Wolf. His eyes were damaged as a baby, and strong light bothers him, so he always wears his Ray-Bans. This is the first in the series. In this interestingly complex storyline, we have First Nation people, whites, police types, BIA (Bureau of Indian Affairs) types, and all kinds of machinations going on. If you like Tony Hillerman books, you may well like the John Tall Wolf books even better. The second is War Party. Flynn tells a great story in an engaging manner. Gets you rooting for ALL sides to win. I downloaded these thinking they were full length novels, but they both turned out to be novellas. I don’t know whether they are short novellas or long stories. Such a blurry line between the two. They are both ‘hard’ sci fi, both are quite fascinating, and both get you thinking not only about the plot, but about the mechanics of story telling. 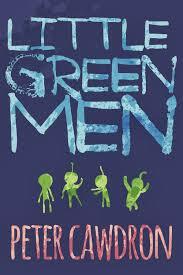 Peter Cawdron’s Little Green Men is a bit more somber than the Dustman story, although its title would suggest otherwise. A mining exploration team is sent from the mother ship to explore the possibilities of a fairly inhospitable looking planet. They arrive in the middle of a powerful storm, with constant periodic lightning strikes. There is a possibility that it is a permanent storm, somewhat like Jupiter’s Red Spot storm. One guy of the two man team exploring the surface is anxious to return to the ship, although his partner is finding examples of beginning life forms. He mentions jokingly about being nervous of little green men. So what do you think happens? Of course, little green men appear, and they aren’t all that friendly. In fact, they are downright hostile. That’s all the plot you get, because since it is a short story/novella, if I give you much more, I’d be giving you the whole thing. Most people would have been intimidated by Vegas, afraid to speak up, not out of a fear of being wrong, out of a fear of appearing stupid in front of her. Michaels had never thought that way. For him, being shown to be wrong was an opportunity to be right. which mixes nicely with the scary parts. Oh, did I forget to mention the scary parts? So sorry. There’s scary parts. 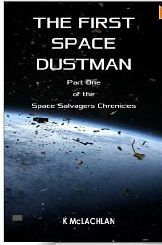 K. McLachlan’s The First Dustman in Space is a quirky little tale about all that crap floating around in space and getting in everyone’s way, not to mention quite a bit of it having some salvage value. Space is messy; someone’s got to clean it up. Harry Martin is part of a two-man salvage ship that he had to save up for in order to buy into it. But the salvage collected could be worth a pretty penny. This is subtitled The Space Salvagers Chronicles, so I am assuming we can look for more tales of the cleaning crew. I like the idea of some organization responsible for hauling in all those floating ham and cheese sandwiches that nobody wanted, and the odd parts from when stuff blows up. Clutter-free, that’s my style. 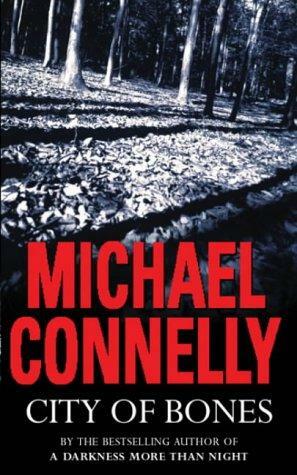 Harry Bosch, a middle aged homicide detective in LA gets called out on a case of bones. A retired doctor takes his dog for a walk in the Hollywood Hills, and his off leash dog comes gamboling back with a bone in his mouth. A human bone. It turns out the bone is one of the entire skeleton dug up by animals, up on the almost inaccessible hillside. The bones are identified as those of a child, maybe ten years old or so. With evidence of a lot of childhood trauma and abuse. And now comes the job to identify those bones, and find the killer, because it becomes clear the child was murdered. This is the eighth Harry Bosch police procedural,and I am truly sorry I missed the first seven. It is a stand alone book, however, so not to fret. You don’t need to have read the first seven to know what is going on. Michael Connelly is a prolific writer, with a couple of series, articles, essays, etc. One of his books is going to movie. I confess: I am a sucker for anything with ‘bones’ in the title. One of the reasons I liked the TV series Bones. And of course, David Boreanaz didn’t hurt the cause, either. The last in the four book series, Dead End. The blurb says In this stunning conclusion, nothing is left unanswered, except one question; what does it really mean to be A Very Good Man. I was a little disappointed. I didn’t find it a ‘stunning’ conclusion, although it was for me a fairly satisfactory one. Although there did seem to be a fast wrap up, skipping over a lot of events needed to get to the ending. There was a small feeling for me that the author got tired of writing, and finished up the way kids do: and then, and then, and then, and then, the end. General thoughts about the series: I could buy into the whole zombie thing. (After all, if not, why be reading a zombie apocalypse book?) But the creation of a world filled with other ‘races/species’ of folks with all kinds of super abilities got to be a bit much, kind of overkill. This reader began to feel that they became necessary to bail Jake out of the zombie corner that the author wrote himself into. Without the special powers people, there was no way to clean up the zombie situation. I guess I like my zombie stories with some teeny potential of possibility. I mean, an asteroid hitting the earth and everybody becomes zombies? Nah. But an accidental unleashing of a nano-something infection caused by a scientific experiment gone awry? OK, that could make some frail sense. A lot of preaching about what the humans have done to totally wreck the planet. OK, I get it. We have screwed up. Stop sermonizing at me and get on with the story. And one last nitpicky thing: this final volume seemed much less edited for typos, missing words, homonyns, that kind of thing. Didn’t bother me overly – a lot of indie books are not line edited, so I cut them a deal of slack. It’s just that the other three were pretty clean. All in all, I liked the series very much. But then, I read the books one right after the other. This author is prolific. His bio on Goodreads says in part: P.S. 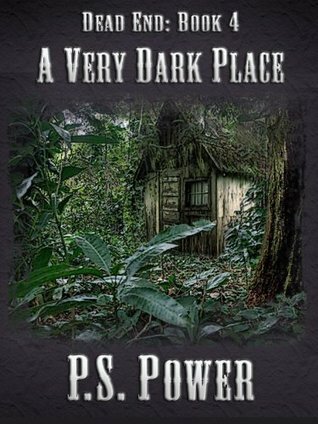 Power works in fiction, mainly focusing on Fantasy, Science Fiction and Horror genres, with brief forays into other things just to keep life interesting. He averages 1 to 2 books monthly and has several series going. Writing one to two books a month sounds about right for the hup hup hup style. A long time ago, which is actually a little less than four years, I was involved in a special program in a different place. A very different place. I won’t go into the details, because… Boring. The overview is simple enough so I’ll just share that. Using extreme mental conditioning I was to transfer into a different reality scheme, and the person there moved into my own. Now I’m stuck here, so, you understand, I need to do something. The person I replaced was a wizard. Now I can do that, sure, who can’t? But your world only has about three of those officially, and people look at you funny when you try to tell them that’s what you do for a living. How other me managed I don’t know. Can you imagine explaining that to the checker in a grocery line? Talk about awkward. So I decided to share some of my writing with you. I know you’ll like it. OK, wizards, different reality scheme. Yeah. Right. See you later. I am now deep into a sci fi story about a guy who salvages space junk. Now THERE’S a different reality scheme. Beam me up, Scotty. A very interesting read, especially right before Thanksgiving. In spite of the subtitle The Mayflower Pilgrims and Their World, it is not the expected recounting of how the Pilgrims lived in the New World. It is really about the world they came from, and what drove the impetus for exile. Cruelty and bloodde is in our streetes, the lande abowndeth with murthers, slawghters, Incestes, Adulteryes, whoredom, dronkennes, oppression and pride .. even the leaste of these, is enowghe, and enowghe to make hast owte of Babylon. – An English Puritan giving reasons for migration to America, 1629. The first half of the book is about England and parts of Europe. It discusses in detail the religious atmosphere under King James, and the daily life in England at that time. It speaks of the heavy handed attempts by the king to suppress any religion that was not strictly in accordance with his own beliefs. The Puritans were not against the beliefs of the king, just way more fanatical about it. They wanted to separate from the church of the state and worship in their more austere way. The book discusses the economic times, the turmoil, and the excessive spending of the king, which diminished resources all around. It also talks about the ongoing wars and military unpleasantness with France and Spain. 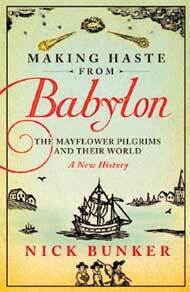 What we learn is that the Pilgrims departure to the New World was as much an economic issue as it was a religious one. The financial backers of the New Plymouth colony were looking for a new way to make a shilling, and the Pilgrims were looking for a place where they could pursue their Separatist ideology. The colony would never have happened without both of these interests coinciding and working together. The second half of the book is more about the times of King Charles, and his spendy ways, and the war of the French against the Huguenots holed up in La Rochelle. The beaver pelt trade from the new colony across the sea finally began to take off, and the colony was beginning to pay for itself. All of this was the impetus for the second and prosperous wave of folks starting in 1630 that really made the small New Plymouth colony more than a dot on the map. Throughout the book, we learn that although there was some land grabbing on the part of the settlers, primarily they bought (well, traded actually) for land from the local indigenous people, who had been warring among themselves for decades. Maybe centuries. Smallpox, undoubtedly brought not just by the Pilgrims, but also by traders and fishermen for maybe a century, really demolished not just the indigenous population, but the settlers’ population as well. It was only as the later arrivals came and worked their way deeper west did the real problems begin to arise. But with the original colony, after some initial distrust, they were viewed as trading partners, not interlopers. I learned so much about English history from this book which I thought was going to be a detailed documentary of Pilgrim life in the New World. Really excellent book, and well worth the time. Chugging right along, this book is mainly about Christmas, more zombie shooting in defense of a massive zombie attack, then warfare with the cannibals who have made an appearance. Whew! Not to mention the Christmas guests, the struggle to get a tree and get it home safely, and decorated. Dynamo that our Jack, the protagonist and Very Good Man, is, he is beginning to wear down. Depression was setting in in a more serious fashion. It had been about ten months since the onset of the plague. Really, he was tired of living. Just giving up wasn’t an option though, not for him. So he needed to sleep, somehow manage not to become a zombie, and then get to work on everything else that was needed. The cannibal attack would be coming soon …. Out of all the groups they seemed to have the best sense of humor. It kind of shocked him that anyone had one of those left at all, but it was a good thing. A very good thing. It meant that there was hope, didn’t it? If they could still laugh, they could, maybe, learn to live again. In this volume, we are introduced to the notion that the infection causing the zombies may be deliberate. But by whom? Government? Some other powers? Things are getting more tense, if that is even possible. Danger is becoming a possibility within the house, as much as it is outside the house. Always a bad thing, letting crazy have the floor. And after some serious psychological sh events, Jake has had all he can take. He changes. All of the various ‘races’ of beings have a similar legend of A Very Good Man who appears at the End Times to save or destroy the society, depending on whether it is worth saving or not. As you might have guessed by now, Jake and the battle with the walking dead and the cannibals and his own people looks like a metaphor for the Book of Revelations. I am a quarter into the final volume, A Very Dark Place. I’ll let you know what happens.